Anyone that's spied my art (or just my handwriting) could guess I adore lines that curl and twist. I'm giddy that Nancy's Romance swept my Peridot dragon magnet off its coiled tail and into this spectacular collection. What a very cool treasury. I love swirls, what a good idea. Congrats on the treasury - it looks great! 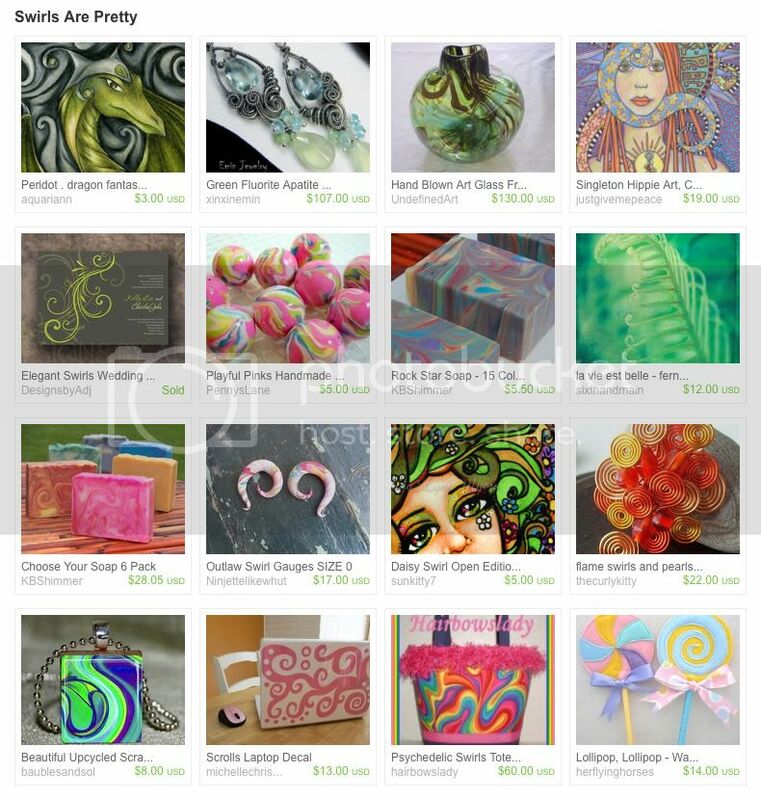 Gorgeous treasury! I love all the colour! I love swirls. How pretty!